Offering brand name suspension lift kits, suspension leveling kits, and suspension lowering kits. Covering beginner suspension lift kits to advanced long travel suspension lift kits or rock crawling suspension lift kits which ever suspension style fits you. If you're looking for a more luxurious suspension setup we also cover air suspension too. Suspension maintenance, suspension service, and suspension repair to keep your lifted truck or suv to perform the best. Prestige Custom Rides suspension experts can service repair and diagnose any issues that arise with your lifted truck or suv. 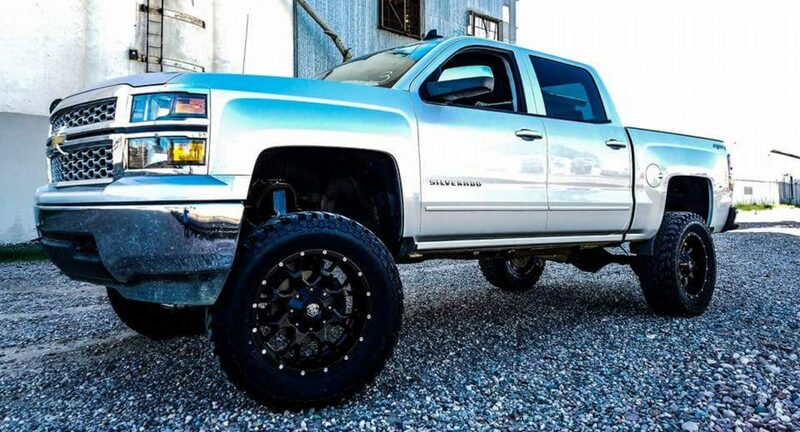 Prestige Custom Rides offers offroad tire and wheel packages for your lifted truck or suv. Looking for all terrains, mud terrains, highway or truck tires for your lifted or lowered truck and suv. Top selection of wheels to outfit your ride whether it has a suspension lift kit or a suspension lowering kit you can get recommendations on which will work best for your vehicle. We pride ourselves on being very skilled at what we do and performing all our work in house without sending it somewhere else. PCR opened in the worst recession in U.S. history. Competitors have come and gone while P.C.R. continued to thrive. There's no secret or shortcut to success other than putting our customers first. PCR offers no commission on sales so we can give our customers great service at the best price without having any high pressured sales.